Applicants must pass the 8th, 10th, 12th, diploma, B.E / B.Tech or equivalent of the recognized organization / board. 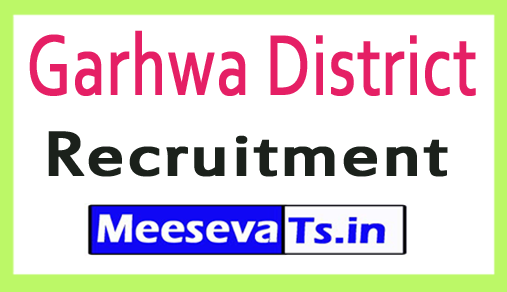 How to apply for the latest recruitment of Garhwa 2018 district? Interested and Eligible applicants may download the required form from the website www.garhwa.nic.in and submit their application form on 20-07-2018 or earlier. The prescribed format along with the photocopy of all relevant documents should be sent to the address below. Interested and Eligible applicants may download the required form from the garhwa.nic.in website and submit their application form before 07-07-2018. The prescribed format along with the photocopy of all relevant documents should be sent to the address below.